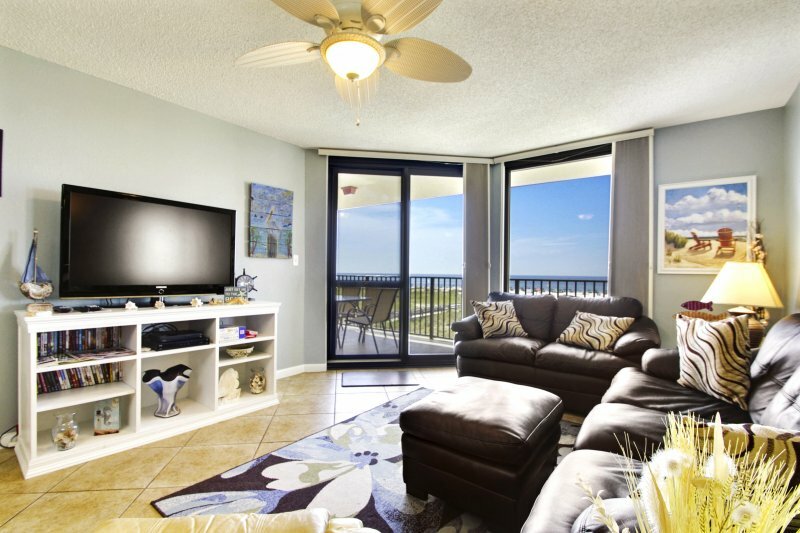 Enjoy the comforts of home that you cannot find in a hotel room, including a comfortable living room and a fully-equipped kitchen in this stunning vacation condo. You will also have access to a washer and dryer as well as free wireless internet in your accommodations. The master bedroom is furnished with a king bed and comes with a grand master bathroom containing a whirlpool tub and a walk-in shower. The second bedroom is furnished with two twins and comes with its own private bathroom, as well. Each of the two bedrooms offer stunning views of the water. 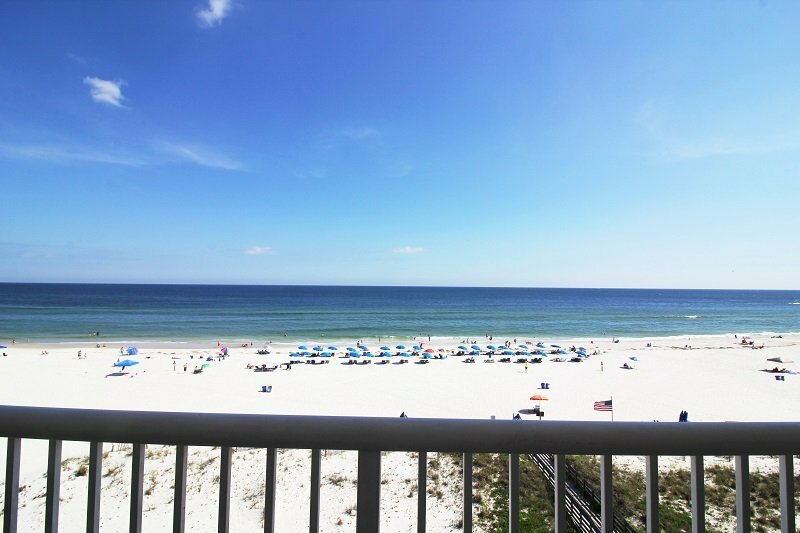 The private balcony will easily be one of your favorite places to relax and enjoy the view after an action-packed day on the Gulf Coast of Florida. 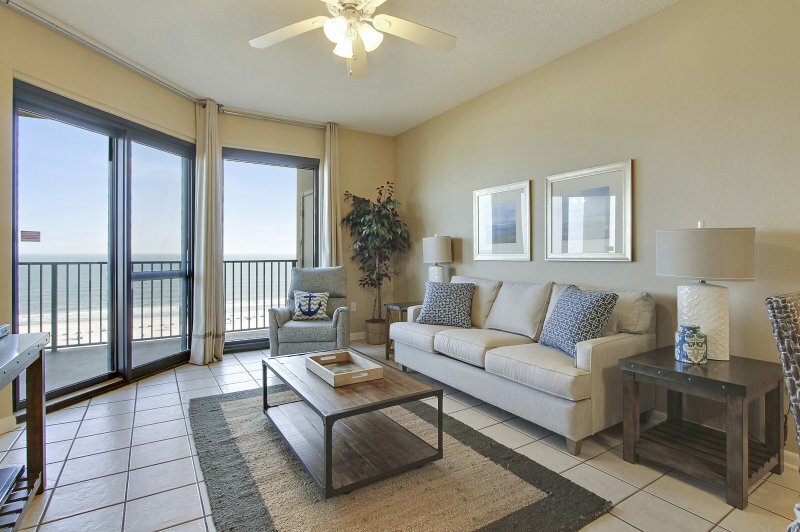 Reserve your stay in Portofino #5 - 1403 today, and enjoy a much-needed peaceful getaway.